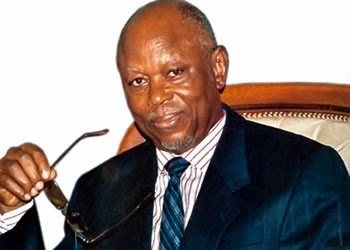 Yeoal's Blogzine™| Nigerian Urban, Gossip and Entertainment Site: Odigie Oyegun on N27.5m APC Presidential Form....."It is for the big boys"
Odigie Oyegun on N27.5m APC Presidential Form....."It is for the big boys"
According to Tribune, this is what the national chairman of APC, Odigie Oyegun, told Buhari who complained about the exorbitant amount being charged by the party. “it is a pity I couldn’t influence this amount to be trickled down, as it was done in the case of ladies that intended to participate in the election. I felt heavily sorry for myself, because I didn’t want to go and ask somebody to pay for my nomination. If you could recall, even the last one, I always try to pay for myself, at least for the nomination.